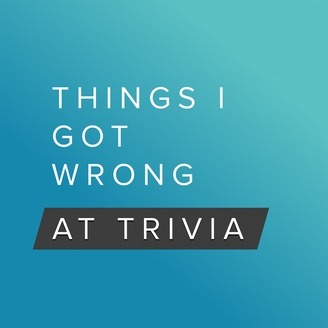 Your favorite general trivia podcast with a healthy dose of internet and media things. Become a supporter of this podcast: https://anchor.fm/thingsigotwrong/support. The Hyperbolic Paraboloid is a mathematical equation and a geometric shape that gives what “Newfangled” snack is unique look? Schoolhouse Rock Lyrics?? What is the WORST Batman movie?? The Origin of Innovation, "What Comes Next", the best of Schoolhouse Rocks and more! 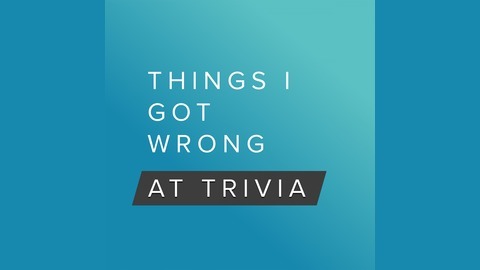 Things I Got Wrong comes out on the 15th and 30th of every month! So listen in with your friends! Follow Us on Social Media [@thingsigotwrong](https://instagram.com/thingsigotwrong) and at [thingsigotwrong.com](https://thingsigotwrong.com). If you have a recommendation pick or topic ideas for future shows, you can send them to thingsigotwrong@gmail.com along with your name and a link to your favorite social profile or something cool you're working on we'll be happy to shout it out in the show! This episode features Rachel Miller, Stuart Hopkins, Mark Spirek and Ryan Bott.